Ever wondered who fought the most UFC fights or who had the fastest knock out of all time? When you look around at the landscape of Formula One racing, you’ll see that there is a lot of money involved. We’re not kidding; sponsors like Red Bull don’t pour millions into their cars; they pour HUNDREDS of millions. Racers make ten figures routinely; a couple of them have made up to $3 million a race. But from a financial standpoint, it doesn’t always run so smoothly. And F1 bettors who follow the sport closely are well aware of that. The Indian Grand Prix is in trouble, and the organizers can’t even do anything to disguise that fact. It is too public for it not to be a subject of discussion in F1 circles. It’s become a foregone conclusion that the event will not be run next year. In fact, it has been dropped from the 2014 F1 calendar, with the best hope that it may be able to return in 2015. Ostensibly the reason was to switch the race from this time of year to the spring, with it being very unfeasible to have to stage the race again so soon. But it was THIS year’s event that someone wants to put in jeopardy, although it will probably not play out that way. But that kind of uncertainty puts the Formula One teams in a rough position, because they are all in place. And it also spoils the fact that Sebastian Vettel, the world championship points leader by a wide margin, could conceivably clinch that title this week. The promoters, Jaypee Sports International, have certainly not been in the best of financial shape, and they don’t seem to have many friends or supporters in the government, even though everyone would agree that the Grand Prix is among the country’s top international sporting events. A local activist named Amit Kumar launched a “Public Interest Litigation” that contended Formula One was not sport, but “entertainment” and therefore should not be exempt from entertainment taxes. The promoters of the Indian Grand Prix did not pay their entertainment taxes in 2012. And that opens up a potential can of worms, because 25% of ticket revenues were supposed to be withheld so that the state government of Uttar Pradesh could be paid. Of course, if we’re making casual conversation, we acknowledge that sports IS entertainment, but when we are talking about India and its laws, the distinction becomes extremely important. If it is a “sport,” then there are tax exemptions to be had; as entertainment there are none. There are also issues with visas and entries on the part of the members of the various Formula One teams that come to compete that rely on how the event is classified. The amount of paperwork everybody involved has to fill out is extraordinary – all because it is “entertainment” and not sport. Chess is considered a sport in India, but not F1 racing. A hearing was to be held on Friday in front of India’s Supreme Court, where the petition to cancel the Grand Prix was to be heard. Vicky Chandhok, leader of the Federation of Motor Sports Clubs of India, was confident that the government would not step in and cancel the event. And it would indeed be extremely short notice for such a cancellation to be ruled upon. Groups in India have large amounts of money invested in the sport (yes, we’re in that camp), not the least of which is the Sahara Force India team (+500 to have a car “retire” first in Bet365’s odds), which features Paul di Resta (+2000 to score a top six finish in this week’s race) as its main driver. He said it would be considered a “big letdown” for his team and its efforts if the Grand Prix were to be lost. When the Indian Grand Prix launched in 2011, it gained much praise from the outside sporting world, because it was successful as a result of being a completely private enterprise. In fact, they drew 110,000 fans. Seven of the teams drew one-race sponsorship deals. Everyone seemed to be happy. Bernie Ecclestone, the guy who runs Formula One, has said about India, “you can’t let it get away.” They’re not necessarily looking to be subsidized by the government itself, although as a “sport,” such a thing would be possible. For now, the organizers would just settle for having everyone get off their backs. There’s only one place to be if you’re betting F1 racing, and that’s Bet365! 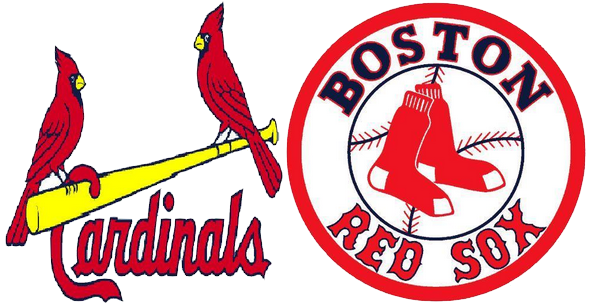 And that generally creates bad news for any opponent the St. Louis Cardinals face. In this specific instance, that opponent is the Boston Red Sox. And the stakes are the highest they could possibly be. That is why it is a particularly joyous occasion that Craig has pronounced himself healthy enough to play after sitting out almost seven weeks with a sprained left foot. With apologies to people like Freddie Freeman, Andrew McCutcheon, Paul Goldschmidt and even his own teammate, Yadier Molina, Allen Craig may be the most valuable player in the National League. When you hit .454 with runners in scoring position, like he has, you always have to be smack dab in the middle of that discussion. The Cards will settle for him being smack dab in the middle of their lineup on Wednesday night, when they begin the World Series in Boston against left-hander Jon Lester. He will be the designated hitter, which of course is a rule in effect when the games are played in the American League park. When you look at reasons the Cardinals are in the World Series, you have to consider not just what Craig has been able to do with runners in scoring position, but the other run producers in the lineup as well. As a team, St. Louis hit .330 with runners in scoring position. .
Maybe this gives you some perspective, but Albert Pujols’ lifetime average with runners in scoring position is .334, and his RISP averages were .329, .339 and .361 in his three MVP seasons. These guys have done a little better than that. Also, in 85 at bats, Pete Adams, the youngster out of Slippery Rock who had 17 homers in 296 at bats in his first full big league season, had a .329 average with five homers with men in scoring position. Depending on what they do with Craig, he may be coming off the bench in the home games, as will David Descalzo, whose RISP average was .361 with 36 RBI in 72 at bats. Ah yes, what will they do with Craig when the World Series leaves Boston? That’s a question baseball bettors at BetOnline will want to know the answer to. And that answer does not really have to be revealed by Mike Matheny until Saturday, when Game 3 happens. At that point the Cardinals can’t have a DH, but they could conceivably put Craig at first base if they wanted to. Would his foot hold up on defense? There would seem to be no reason why it couldn’t, and if he is in the field that would put Adams on the bench. But if they wanted to hold Craig back, could you imagine a better “wild card” they could insert into the game as a pinch hitter in a critical situation – preferably one where the red Sox couldn’t afford to pitch around him – than a player who hit .454 with runners in scoring position? No, you can’t. There’s no way you possibly could. That might be one reason the Cards are a very live underdog in this series. They have the players like Craig who, in situational baseball, could make the difference between winning and losing. Just picture him coming up in the ninth inning, with the bases loaded, against someone like Koji Uehara, who has given up two earned runs in his last 58 innings. That’s the kind of stuff World Series dreams are made of. As far as the battle for the right to be called the world champion driver is concerned, it is all over but the shouting. But we didn’t need to see Sebastian Vettel win five straight races to know that. The only doubt about this season’s winner was exactly when the Red Bull star might wrap up his fourth straight championship. He hasn’t eliminated Fernando Alonso quite yet, but that should happen on October 27 at the Buddh International Circuit in the Indian Grand Prix. Regardless of what Alonso does, if Vettel finishes fifth or better, he will end the whole thing officially. Last Sunday Vettel won the Japanese Grand Prix, but was only going to be able to clinch the title if Alonso finished ninth or lower. But Alonso (of the Ferrari team) finished fourth, so the champagne will have to wait a bit before being popped. Vettel is now 90 points ahead of Alonso, after completing this run of five straight, which is the first time that has been done on the Formula One circuit since Michael Schumacher did it 2004. As you can see, Vettel is a prohibitive favorite in the F1 betting odds, and Webber, though far behind, is the next man behind him nonetheless. The Red Bull duo finished 1-2 in Japan, and that was enough to sew up the constructors’ title for the fourth straight season for the very well-heeled team. Romain Grosjean of Lotus, who has not won yet as an F1 driver, was actually the leader for a full 28 laps, having come to the front from a second-row start, but lost the lead to Vettel and then was overtaken by Webber with a lap to go. He is currently +1200 to win in India at Bet365. Grosjean is noted for his talent, but he has had to work hard to escape a reputation for being somewhat reckless at the start of races. In fact, Webber once labeled him a “first-lap nutcase” for a collision he had with the Frenchman at last year’s Japanese GP. Vettel, who was the youngest driver ever to win a Formula One race and the youngest world champ, is just 26 years old but is about to win his fourth consecutive F1 title, which will put him in some very exclusive company. He will join Juan Manuel Fangio (1954-57) with that four-year string. Schumacher won five straight F1 world championships from 2000-2004. There is also a very short list of drivers who have won four titles overall. Schumacher won seven; Fangio captured five, and Alain Prost was a four-time world champion. There has always been certain amount of tension for Webber surrounding Vettel’s status as “favored son” of the Red Bull team. Last Sunday he was asked to make three pit stops, as opposed to just two for Vettel, despite the fact that, as he described it, “there was life in that set of tires, and that I might just have been able to hold on to the end.” By this time he has almost become numb to Red Bull’s patronization of Vettel, so he takes those kinds of things in stride. And it hardly matters all that much for the driver who is in fifth place in points. Webber is leaving the Formula One ranks after the last race of the season, as he is headed to Porsche and its sports car program. The heavy rumor is that Lotus’ Kimi Raikonnen will get his spot with Red Bull Racing, and the right to play second fiddle to Vettel. For his part, Alonso, the second-place driver, feels that his Ferrari team was too slow in adapting its cars to the new adjustments Pirelli made to the tires after the blowouts that happened at the British Grand Prix. This year it is feared that the Indian Grand Prix is bidding its final farewell. There will be no such event in the 2014 F1 schedule, and though there is hope that it can return in 2015, that will all depend on economic conditions. Reportedly the organizers of the event are looking to the government for bailout money in order to keep the event going, but they haven’t gotten too far with that. From India, the Formula One circuit moves to Abu Dhabi (November 3), the United States (at Austin on November 17) and Brazil (November 24), though with Vettel likely to retain his title this weekend, there won’t be a huge amount to play for. At UFC 166, the main event brings one of those fight fans have been awaiting for quite some time. Cain Velasquez, the two-time champion, makes a defense of his UFC heavyweight title in the main event as he takes on Junior Dos Santos. It’s a rubber match, with each of the competitors winning once apiece. It takes place at the Toyota Center in Houston on Saturday night (October 19). In that fight he sustained an injury to his rotator cuff, and was out of action for over a year. When he returned, Dos Santos (16-2) toppled him in 64 seconds to win the championship. It came to light that both fighters had been injured before the bout; Dos Santos had a torn meniscus, while Velasquez had re-injured the rotator cuff in training. .
Velasquez worked his way into a rematch wit a win over Antonio Silva, then got his rematch with Dos Santos at UFC 155 (December of last year). And he was dominant, winning all five rounds and taking Dos Santos down eleven times. This time, there were no injury excuses for either man. Velasquez has since fought a rematch with Silva, winning that one rather easily. Dos Santos (the +165 underdog) had his first seven pro fights in Brazil, then debuted in the UFC with a surprise win (that was also surprisingly easy) over Fabricio Werdum. He earned his first title shot by running through a series of fights against Gabriel Gonzaga, Roy Nelson and Shane Carwin, then blasted out Velasquez in one round. He defended successfully against Frank Mir, but the loss in the rematch to Velasquez was really a downer, as his face was battered to a pulp. He blew out Mark Hunt (a substitute for Alistair Overeem) with a spinning wheel kick in his last bout back in May, which established him as the #1 contender. He said that he had actually peaked fifteen days before that fight. Indeed, he says that he had developed something called rhabdomyolysis, which is a breakdown of the muscle fiber due to extreme physical exertion. And his urine was brown for some time after that. As he asserts that he has taken steps to get that situation under control, UFC bettors wonder if that will be a real difference-maker. For those who accept it as a legitimate excuse for the one-sided nature of the last fight, it does indeed add to the intrigue. Interestingly, these two are 1-1 against each other, but they are 18-0 against everyone else in the UFC, with fifteen early endings. When you think about the kind of shape Velasquez always comes in, as well as the furious pace he set in that second fight, even with an injury, one would imagine that unless he does something very decisive to get Velasquez’s attention early, this can become another fight in which he gets overwhelmed. Nelson, a protege of Renzo Gracie, is a former champion in the short-lived IFL who’s won a few and lost a few in his four-year tenure in the UFC. He’s gone the distance with Dos Santos, Mir and Werdum, and his best win was probably a one-round KO of Chieck Kongo at UFC 159. he lost to Stipe Miocic last time out at UFC 161 in Canada. Cormier, a wrestling star at Oklahoma State, came fourth in the 2004 Olympics and was the captain of the 2008 U.S. Olympic team but had kidney failure and could not take part. he comes from Strikeforce, where he was the Grand Prix heavyweight champion, scoring wins over Jeff Monson, Antonio Silva and Josh Barnett. In his UFC debut, back in April, he won a decision over Mir. To bet on any of the fights at UFC 166 check our our list of the best UFC betting sites. PGA Tour players are in the desert this week. They will travel to TPC Summerlin in Las Vegas to compete in the Shriners Hospitals for Children Open, which begins Thursday and runs through Sunday. This is one of those tournaments that is being held as one of the FIRST events of the season, instead of one of the last, because of the new scheduling on the PGA Tour. And there are FedEx Cup points available in this tournament for the very first time. Therefore, it is going to be a place for a lot of players to get a jump on others as they seek placement as the season progresses. Who are some of those players? Well, certainly Hideki Matsuyama can be one of them. The Japanese youngster finished tied for third in the Frys.com Open last week. This followed his debut in the Presidents Cup, where he didn’t necessarily do well but got his feet wet. Let’s not forget; he is only 21 years old. Last week he was the best driver in the field, and that will help him immeasurably on this course. He is one of the listed favorites at +2500 in golf betting odds. Zach Johnson, the former Masters champion, is one of those players who is attracted to the event because of the points that are available. Johnson has been playing some very good golf; of course if you followed the FedEx Cup, you know that he won at Conway Farms, but he has also had some extended success, with seven top ten finishes in his last eight starts. He has not played in Las Vegas since 2008, but he is the +1200 favorite for this week. Webb Simpson (+1600) is on board this year for the first time since 2010. The former U.S. Open champion showed great form late, finishing tied for fourth place at the TOUR Championship, then went on to win two matches in the Presidents Cup. Brendon De Jonge (+2500) is yet another player who is coming off playing in the Presidents Cup. But unlike Matsuyama, he took a week-long break after that. He has every reason to expect that he will be a candidate for heavy FedEx Cup points here, since he was all alone in second place last year at TPC Summerlin. You have to figure Ryan Moore has this course dialed in to a certain extent. He would have to, since he is the defending champion (having beaten out the aforementioned De Jonge) and set a tournament record last year by firing a 260 over four rounds, at 24 under par. This included an opening round of 61, which had the field chasing him from the start. He lives nearby, so it is one place where he will be greatly disappointed if he doesn’t do well. Another player who lives locally and likes the course is Scott Piercy, who has hit the top ten the last two years in this event. Can he improve upon his tie for sixth place last year? This is a good chance for him to establish himself; he had great outings at the PGA Championship, where he finished tried for fifth, and the Phoenix Open, where he was third all by himself. At +3300 in PGA Tour betting, maybe he brings some value. And if you’re talking about Las Vegas residents, Nick Watney deserves very strong consideration. Watney came on strong during the FedEx Cup playoffs, tying for ninth at The Barclays, finishing as the runner-up at the BMW Championship and tying for 14th in the TOUR Championship. And he really likes the TPC Summerlin, going T6, second and T10 the last three times he has played the tournament. He is rightfully one of Bovada’s favorites at +1600. John Peterson (+5000), who was the leader on the Web.com Tour, may have been a bit of disappointment last week as a T21 in a relatively thin Frys.com Open field, but he’s got a chance to recover here. Kevin Na (+2800) has won just once on the PGA Tour, and it was right here at Summerlin, two years ago. He has had to endure some injury problems, and a lot of people are familiar with the bulging discs he tired to play through but couldn’t. After treatment he came back and soared to a third-place tie at the Frys.com Open, rebounding from an opening round of 75 to post back-to-back 64’s on Saturday and Sunday. And then there is the player who won last week. Jimmy Walker was “Dy-no-mite!” at the Frys.com Open, working his way out of a lot of jams and finishing with 62-66 to take home first prize and $900,000. Because that tournament was also awarding FedEx Cup points for the first time, he is off to an early lead in the standings. And last year he posted his first top ten finish in four tries at TPC Summerlin. Maybe form will hold up? He’s +2800 at Bovada. Players can score here; in fact, this was determined, by way of scoring average, to be the second easiest Par-71 course to solve during the 2012 PGA season. One of the things that most of the players usually don’t have to worry about is that adverse conditions will affect play. We’re not talking about the heat; everybody expects that in Las Vegas. But there won’t be wind or rain to worry about, according to the weather forecasts. Tee off on all the golf odds you can imagine by opening an account at www.Bovada.lv! With a fierce rivalry that stretches over 130 years, there’s certainly no love lost between Aston Villa and Birmingham City. The teams first met in 1879, when the Blues, then known as Small Heath Alliance, hosted the Villa. It was 1-0 to the home side that day, and thus began one of the biggest derbies in British football. Take a look at our infographic to see just how the Midlands adversaries have squared up against each other over their proud histories. 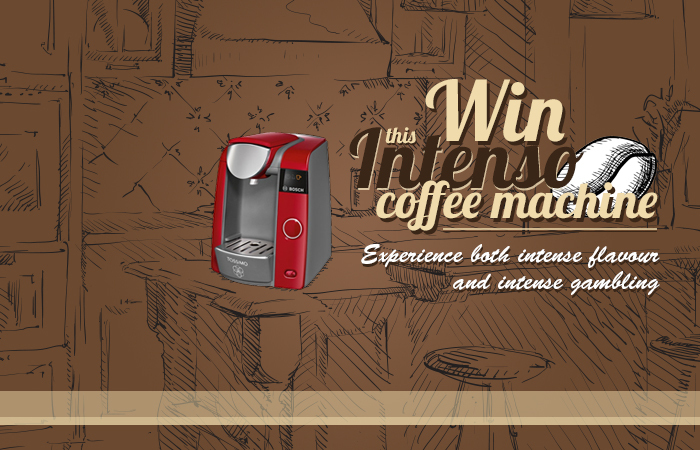 We’re offering you the chance to win this great Intenso coffee machine so you can experience both intense flavour, and online gambling. All you have to do is write a review or a post about the Intenso coffee machine and include a link to www.onlinegambling.co. The lucky winner will be announced on the 31st October. Good Luck! Lewis Hamilton is running hot. The British ex-champion, who races for the Mercedes team, proved to be the fastest driver in Friday’s practice for the Korean Grand Prix, which takes place on Sunday. Hamilton clocked his lap at 1:38.673, which put him slightly ahead of Formula One championship points leader Sebastian Vettel of Red Bull. And Vettel recognizes him as an immediate threat. Nico Rosburg, the other Mercedes driver, was third in practice, with Mark Webber of Red Bull fourth. Things didn’t go as well for Kimi Raikkonen of Lotus, who crashed during the first practice session, plowing into the wall, but then recovered to land eighth after the second practice go-around. Vettel goes into this race as the F1 betting favorite, as he does with most races. And he is going to, in all likelihood, wrap up the world championship early, as he did last year. He has won two Korean Grands Prix in a row. Fernando Alonso of Ferrari (+700 to win in Korea at Bovada) is sixty points back, and has very little room for error. Vettel could literally clinch the title in the next two races. Hamilton sits in third place, 36 points behind Alonso, and he is thinking of other worlds to conquer. And he’s not just blowing smoke. Hamilton says that when he is through driving around racetracks, he will do what many others have failed to do, which is to scale Mount Everest. It’s not as if he has never done the mountain-climbing thing before. Just last week he climbed the 4,095-meter Mount Kinablu in Borneo, which is the 20th-highest mountain in the world, and he’s set his sights on others, which include Kilimanjaro, Mount Fuji and Mount Blanc. He’ll also find a peak or two in the United States before focusing on the big prize, Everest. And there is growing concern that Vettel (the F1 betting favorite in Korea at -163) has been putting his foot in his mouth. The champion ruffled many feathers when he said, at the conclusion of his F1 victory in Singapore, “Whilst there’s a lot of people hanging their balls in the pool on Fridays, we’re still working very hard and pushing very hard so that we have a strong race.” Of course he’s referring to his Red Bull team, as opposed to others. Well, you can imagine that a lot of his fellow competitors, especially those who really ARE hanging their “balls” in the pool on Fridays, were properly pissed. Nico Rosberg, who teams with Hamilton at Mercedes, suggested that that’s the kind of thing that only makes Vettel look bad and make him more unpopular. “Sebastian brings the boos on himself,” he said. Jenson Button (+6600), Hamilton’s ex-teammate at McLaren and a former world champion, insisted that “Every team is working as hard as Red Bull.” We get that; it’s just that they don’t have as big a pocketbook. And one of the other hot issues, admittedly a more serious one, that is going around involves driver weight, which is something that is not discussed as much as perhaps it should be. Formula One drivers, like jockeys in horse racing, have a tendency to starve themselves because they have to comply to certain weight limits. Too much of this could potentially make things dangerous for a driver in such a stressful situation. The minimum weight limit for cars has indeed been increased for the 2014 season, from 642 kg (1415.368 lbs.) to 690 kg (1521.19 lbs. ), but it is suggested that due to the introduction of new turbo-charged engines, cars will have to carry heavier equipment, so not only might that make no difference to driver weights, it could actually give them less room to breathe, so to speak. In effect, this could wind up keeping people like Nico Hulkenberg (+2000 to be the first driver to “retire” this week) from driving next year. Hulkenberg weighs 163 pounds, and he has been told by Sauber that his ride could be in jeopardy. Button, who says that the weight policy “needs to change now,” adds that he fasts before each race and never eats carbohydrates. the lightest driver in F1 would appear to be Vettel, at 140 pounds, while the “heavyweight” is Mark Webber, at 165. The Presidents Cup doesn’t quite have the tradition of the Ryder Cup, but it is an intriguing event that puts some of the best players in the world into a team format and poses a certain challenge to golf bettors as well. 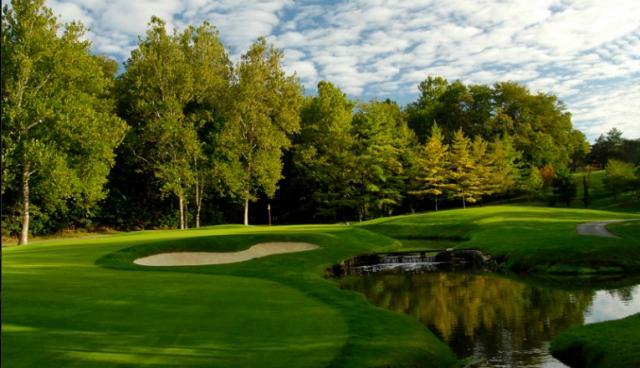 It is conducted every two years, and will be played this week, starting Thursday, at the Muirfield Village Golf Club in Dublin, Ohio, which is the site of the Memorial Tournament, which is a regular stop on the PGA Tour. Whereas the Ryder Cup pits the United States against the Europeans, this competition features a team of golfers from all the other countries outside Europe. It’s a match play format, with singles and doubles, who will play in both alternate shot and best ball formats. There 34 total points up for grabs; naturally the winning team has to get to 17.5 points. Thus far, to be honest, it’s been no contest. The United States has gone 7-1-1 in the nine meetings. The International team registered its only win in 1998. The widest margin was in 2000, when Ken Venturi was the captain of the U.S. team. That was a ten-point win, and in the golf odds, the Americans are +3300 at Bookmaker.eu to achieve that kind of margin again. This year’s captains are Fred Couples of the U.S. team (for the third time) and Nick Price of the Internationals, who has played five times in this event but is debuting as captain. Even though the United States, by all accounts, may have the deeper team, the International team does have a number of winners of major championships including Masters champions Adam Scott, Charl Schwartzel and Angel Cabrera (who has also won the U.S. Open); British Open champion Louis Oosthuizen and Ernie Els, a two-time winner of both the U.S. Open and the British Open. If you looked at the 24 players on both teams, the one who by far has the best history at Muirfield Village is Tiger Woods, who has won five tournaments on the course. No other players have won more than one tournament there. He is also the only player on either team with a career average under 70 at this site. He is priced at +500 in the golf betting odds to be the Top American. Els is the only player from the international team who has won at Muirfield, capturing the Memorial in 2004. Obviously there are players of all levels of experience playing here, and sometimes that dictates the matchups that each of the captains come up with. For example, Jordan Spieth, the 20-year-old PGA Tour Rookie of the Year, will likely be paired with veterans, and reports are that all of them are lined up wanting to play with him. He is listed as a quite respectable +1200 to be Top American in the Bet365 odds. So who could have the most impact? Well, Adam Scott was one of the top candidates for Player of the Year honors and was right there when it came to competing for the FedEx Cup title. He would love to get back toward the .500 level, as his Presidents Cup record is just 10-13-2. Schwartzel had the second best rate of birdies per round on tour. Els is the most experienced International competitor, by far, having played seven times already in the Presidents Cup. He is barely over the .500 mark for his matches, as he has posted a 17-16-2 record. Els is +900 to be the Top International in the golf betting lines. The young gun for the Internationals – in other words, the guy who could use a mentor for a partner – is Hideki Matsuyama (+110 to be Top International player), who is 21 years old and apparently unfazed by anything. His Top 10 results in two majors – the U.S. Open and the British Open – indicate very strongly to golf bettors that he belongs. He is, however, the only in this year’s Cup who has never played at Muirfield. There are other International players who may be perceived to be untested but bring some decent credentials to the table. For instance, Graham DeLaet, a Canadian, played well toward the end of the season, chalking up a second-place finish in The Barclays and third place at the Deutsche Bank Championship. Those were obviously two very important components of the FedEx Cup playoffs. He led the PGA Tour in driving, and that will be critical on this course. Richard Sterne of South Africa went through his PGA Tour schedule with a scoring average of 69.5, which is outstanding. Marc Leishman, who was one of Price’s captain’s picks, finished tied for fourth place in the Masters. Brendon de Jonge obviously knows how to score, as evidenced by his total of 371 birdies, which ranks him second on the Tour. Jason Day doesn’t live to far from Muirfield, but he hasn’t experienced too much home cooking, falling outside of the top 25 on all five occasions he has competed in the Memorial. Brendan Grace doesn’t mind this format too much, as he made it to the semi-finals of the Volvo World Match Play Championship. Grace is +1200 to be the Top International at Bet365. For the U.S., Woods, who was just named the Player of the Year despite not winning a major, has played 35 matches in the Presidents Cup (20-14-1 record). But you can’t find a player who has done better than he has on this course. Phil Mickelson has played in every Presidents Cup event, going back to 1994, and he is the only player who can say that. Matt Kuchar can certainly adjust himself to this match play format; not only is he a former winner of the United States Amateur, he won the Accenture Match Play Championship this year. The guy he beat in that tournament final, Hunter Mahan, is also a member of the U.S. team. And Kuchar likes the course, as he won this year’s Memorial at Muirfield. He could be a value in the golf odds at +1400 to be the top point scorer in this event. Steve Stricker is very experienced in the Presidents Cup, with an 11-8 record, and he will probably be paired with a youngster because of his demeanor. He won the Memorial on this course two years ago. Zach Johnson, the 2007 Masters champion, just won the BMW Championship (part of the FedEx Cup playoffs) and finished strong, with top tens in seven of his last eight events. A lot of people are suggesting a pairing between Wake Forest alums Webb Simpson (last year’s U.S. Open champ) and Bill Haas (son of former pro Jay Haas). For golf betting events from around the world, you just can’t beat what they have at Bookmaker.eu!